Most business professionals are aware of LinkedIn. For some reason, however, some businesses still overlook it for their own marketing efforts. Social media platforms like Facebook and Twitter might be more popular, but LinkedIn has many distinct advantages over them. LinkedIn is a social media platform built specifically for business professionals. This might lead you to believe that it’s only useful for B2B companies. This couldn’t be further from the truth. LinkedIn has the highest consumer buying power index of all social networks. LinkedIn members are one-and-a-half times as likely to engage in conversation. LinkedIn members are willing to pay almost twice as much for brands they trust. Consumers trust information on LinkedIn twice as often as they trust content on other social networks. Clearly, LinkedIn can benefit any company, no matter what business size, sector, or industry. Like any social media platform, the best way to make sure you’re using LinkedIn to its maximum potential is by investing in analytics. LinkedIn analytics is used in a variety of ways. Many companies use analytics to assist with their recruiting efforts. A strong company profile is a great way to attract prospective employees and build a reputation. Posting popular content and engaging commenters is another way to reach people and build trust. Using analytics helps boost both strategies by measuring their effectiveness and pointing out strengths. Impressions and engagement usually have a high correlation. LinkedIn content is also a great way to build branding. 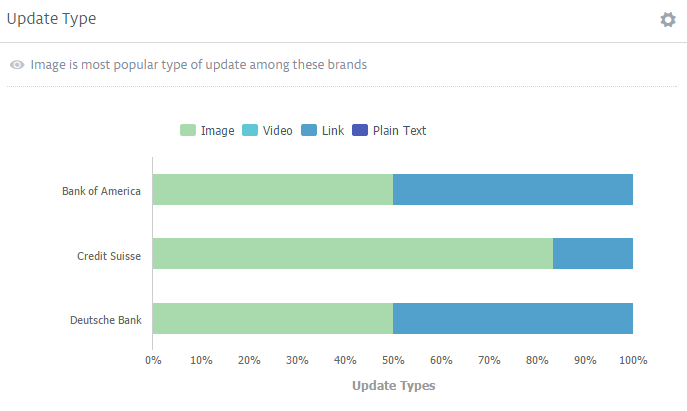 LinkedIn analytics tools offer a ton of ways to measure and improve content campaigns. In fact, Unmetric even lets you track your competition! This gives you the opportunity to draw inspiration or notice untapped niches. Unmetric has access to the LinkedIn performance of several thousand brands across the largest industries. Stats on engagement, showcase pages, careers and even customizable downloadable reports are available. Lastly, using LinkedIn for building your brand will also help you boost your SEO. LinkedIn company profiles and LinkedIn content often appear high in search engine rankings. Strengthening them will help drive more visitors than ever to your brand. Prospecting. Networking on LinkedIn is a great way to connect with prospects for the first time. Building your brand on LinkedIn is the best way to attract these prospects. Strong LinkedIn data analysis will let you know everything you wanted to know about your followers. Attracting top talent. Many top professionals use LinkedIn as a way to look for new careers. Building your credibility on LinkedIn will help you attract the best of the best. Branding. Building a strong presence on LinkedIn boosts your credibility and solidifies your brand. LinkedIn profile analytics will help you show up more often on searches (in both LinkedIn and search engines). This will boost your brand even further. Increasing engagement. LinkedIn analytics are a great way to grab information about your customer. Competitive analysis will show exactly how they interact with competitors, colleagues, and other brands. With stats like follower demographic, you can easily understand your audience and tailor your content accordingly. The quickest way to achieve all these benefits is by using a LinkedIn Data Analytics tool. LinkedIn has built-in analysis tools, but tools like Unmetric add additional functionality and second layers of analytical data. 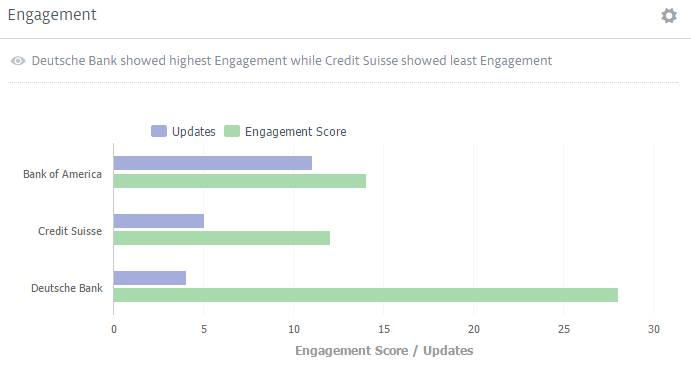 The metrics and insights provided help boost your engagement and identify opportunities. You’ll be able to easily hit your social media and business objectives. The ability to find out what type of content is working for your competitors. The ability to compare yourself to your competition to see how you stack up. Advanced metrics on your campaigns (such as comments or shares). Statistics on when content is published and how it performs. Intelligence on who’s hiring, and how job updates are performing. Not only understand the type of content your competition posts, but also understand if its working for them.